The immediate environment of the Flemish Parliament undergoes a restyling. 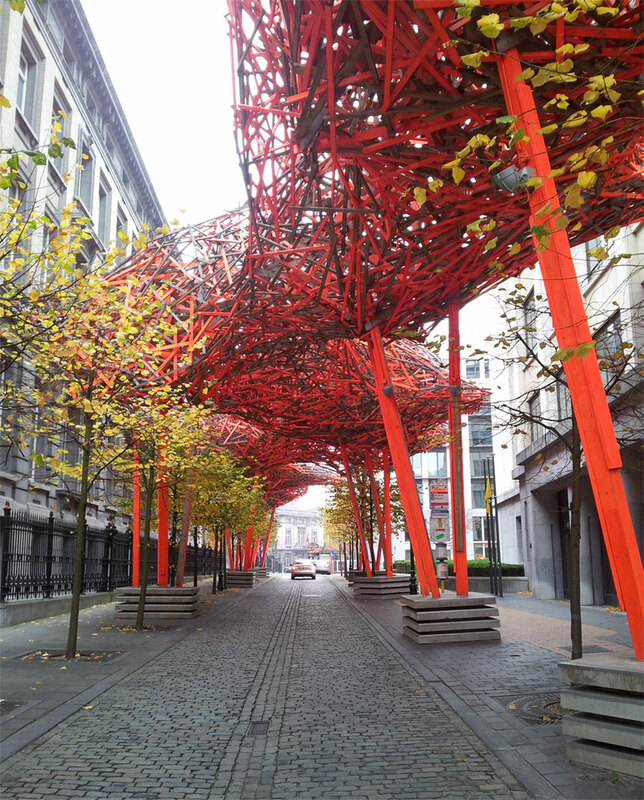 As of 13 November 2008 a giant wooden installation, lasting for at least 5 years, covers the Leuvenseweg connecting the Flemish Parliament with the House of Flemish Representatives. 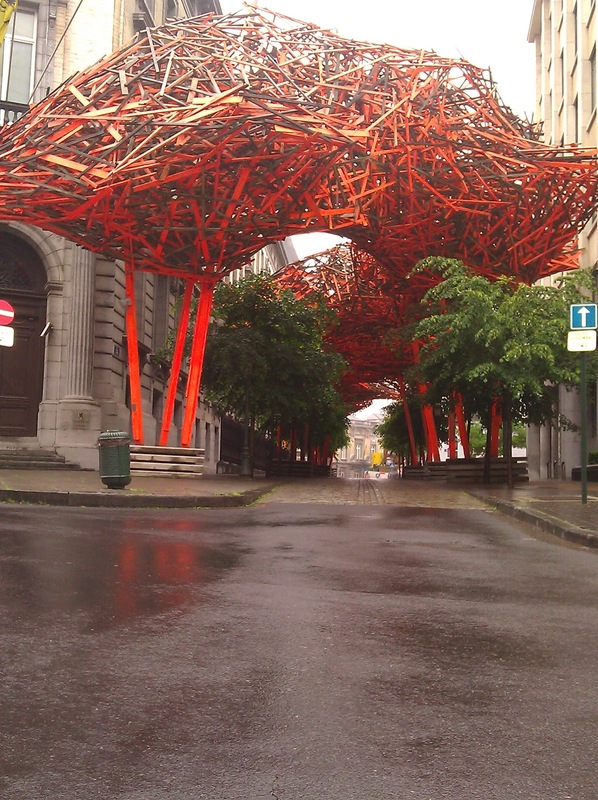 Belgian artist Arne Quinze signs for this unique piece of art. 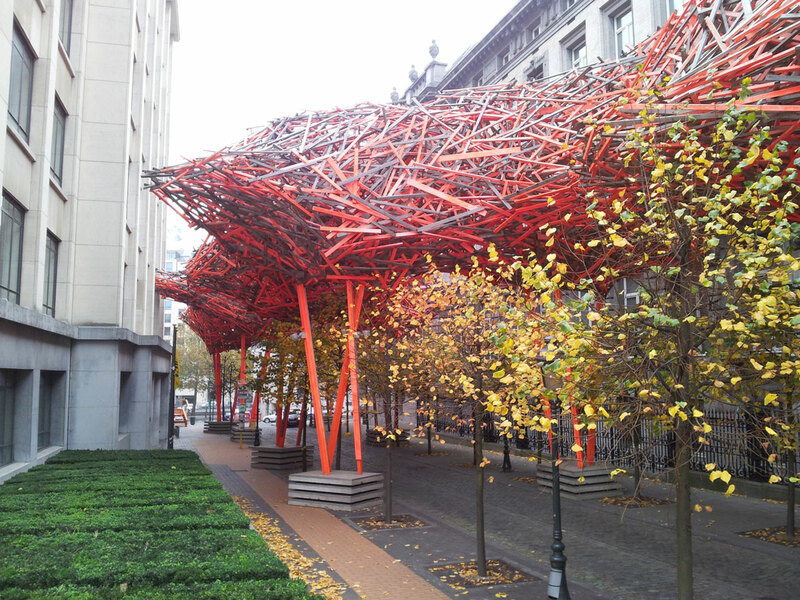 Quinze: “THE SEQUENCE bridges the communication gap between people and generates movement in the city. I want to reconnect people and let them interact with each other like they did in the past on squares. 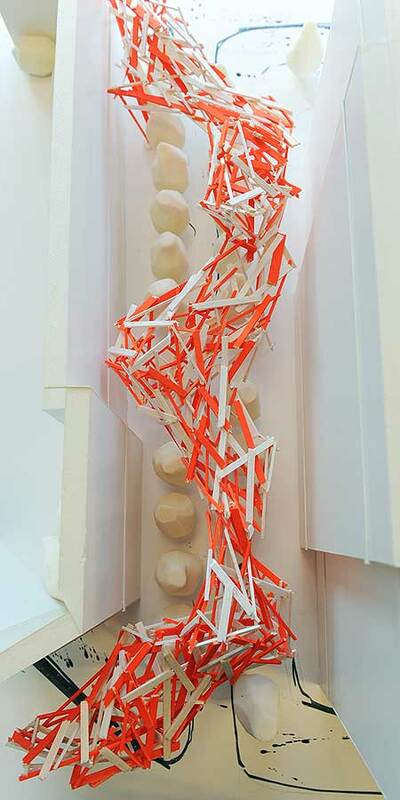 At least people talked to each other then.” Therefore concrete elements serve as the basis for the sculpture. It gives people a moment to reset their minds and think about what’s going on in those two buildings. The physical connection between neighbors, the Flemish Parliament and the House of Flemish Representatives reflects the possible connection between all neighbors in Brussels. Cross-culture connections, a connection with Europe, its diversity and entity. 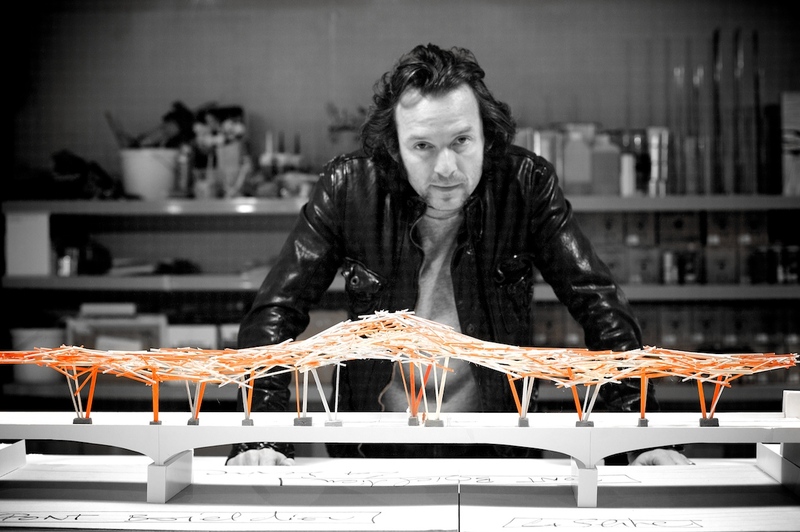 Arne Quinze uses concrete and wood for this installation. 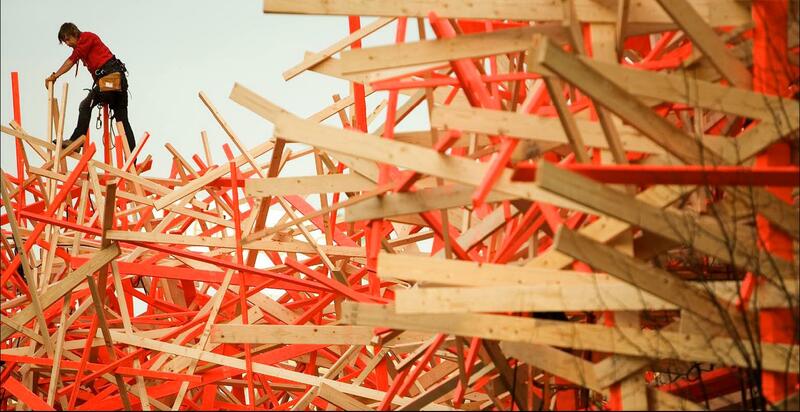 “Working with natural materials gives the installation a very pure and human aspect. I always work in a sustainable way. This is one of the most important things for me. All used wood has the EFC-label, a European standard. For every tree cut, there will be planted a new one. All wood is 100% recyclable into new fixtures, and is going to be completely reused after the deconstruction.